The final scheduled flight from Tallahassee International Airport left Sunday evening ahead of Hurricane Irma, which is ripping its way up the state of Florida. 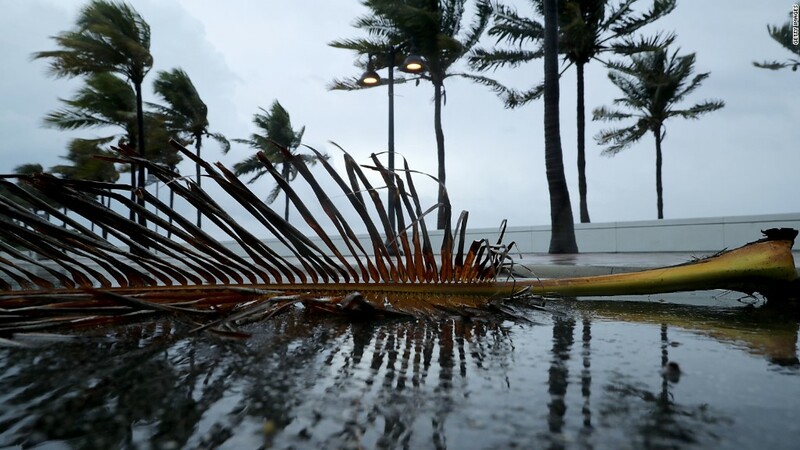 The Category 4 storm made landfall in the Florida Keys early Sunday, still far from the capital city in the state's panhandle. The final flights took off just after 5:40 p.m. ET, according to FlightStats, and the airport won't resume commercial flying until Tuesday. Major carriers had already stopped flying out of other parts of Florida in preparation for Irma, which is bringing winds of 120 miles per hour. Airlines had earlier taken as many passengers as possible out of the path of the storm. Flights from Miami, Orlando and Fort Lauderdale -- the 12th, 13th and 21st largest airports in the country -- went largely dormant Saturday ahead of the extreme weather. Irma has already trashed airports, buildings and roads in the Caribbean. St. Maarten, a major international destination for U.S. and European carriers, was in ruins after the storm. Photos from the Netherlands Ministry of Defense showed the airport's runway, terminal building and jetways covered in sand. But the prospect of a direct hit from Irma represents another blow to air travel in one of the busiest air corridors in the world for business and leisure travel. The scramble to get out of the hurricane's path was so acute that the Federal Aviation Administration on Thursday evening said air traffic controllers were increasing the space between flights from Miami and nearby Fort Lauderdale to enable them to better manage the crowded skies. By Sunday morning, weather monitoring equipment at airports across South Florida, including Miami, were offline, underscoring the damage Irma is doing to airport infrastructure. And Irma's path could cause further problems for areas north of Florida, including Atlanta, home to the busiest airport in the world. Delta Air Lines, which is based in Atlanta, said that it was closely monitoring Irma's track and "heavy winds and rain Monday [are] expected to impact some flights." The duration of any shutdown remains uncertain. American Airlines (AAL) said late last week that any timeline for resumption of flights will be governed by not only airport conditions, but also the ability of airport and airline staff to get to work.